A perfect way to decorate the home or office with a Southwestern or even western style. This is one amazing looking cow skull decorative pillow. 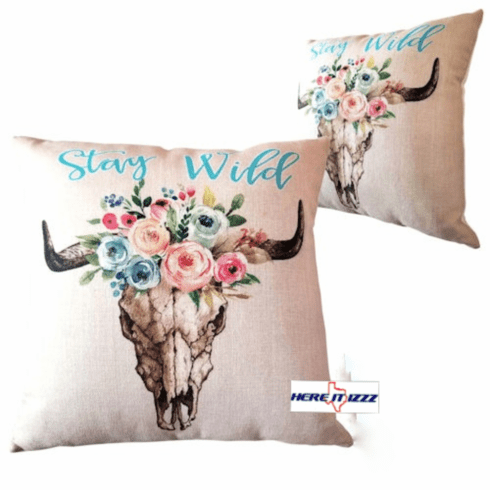 Made from high-quality durable canvas fabric your pillow will look great for years.